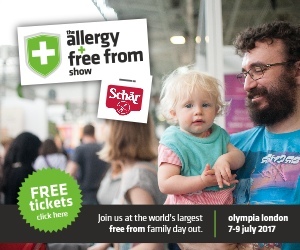 We are going to exhibit at the Allergy & Free From Show this year again! It is at Olympia London from 7th July to 9th July. We will have great promotion ‘2 for £5’ on DRIED KONYAKU products and provide delicious food samplings. We also give out free recipe leaflet which includes Japan’s best-loved dish ‘ Sukiyaki’, simple but something addictive Chinese style salad ‘Liangban Fensi’, Indian dessert with gorgeous oriental aroma ‘Kheer’ and so on. Here’s the free ticket link. We hope you can come to stand A85, and look forward to seeing you there! How was DRIED KONYAKU created?